The Power Service specialise in Safety Test and Inspection Works to Gas Safe and NICEIC standards. 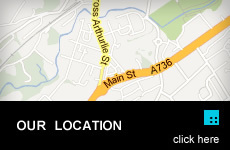 Our engineers are fully qualified and highly professional in what they do. Below is a selection of what we can do. All works are carried out to as a minimum British Standard BS 7671: 2008 "Requirements for electrical installations" which is the national standard in the United Kingdom for low voltage electrical installations. It is important to have your property inspected regularly to ensure your safety. The Power Service can help you or your business adhere to strict government regulations. All electrical installations should be subject to a regular programme of testing and inspection to comply with current legislation. You must ensure that all necessary precautions are being taken to reduce the risk of injury or death through electrical failure. 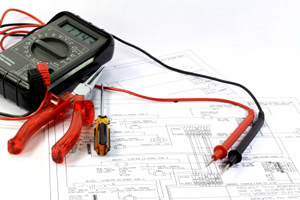 All Portable Appliance Testing is carried out to IEE Code of Practice for the In-Service Inspection and Testing of Electrical Equipment - PAT Testing has become a widely accepted method of ensuring compliance with various health and safety laws applicable to electrical appliances in the workplace. PAT Testing should be carried out by a responsible and competent person and records kept. If you use The Power Service your appliances will be inspected and tested and a PAT Testing Certificate issued proving that you have taken reasonable steps in complying with the relevant legislations. We can provide heating and electrical breakdown cover for domestic properties and commercial planned preventative maintenance contracts. Including fire alarms and emergency lighting for domestic, commercial and industrial installations. The building regulations require that all properties built after June 1992 must have a mains operated inter-connected smoke alarms fitted on every level of the property. Landlords are legally bound to provide smoke alarms in the property. The Law and Portable appliance testing. This law applies to employers and employees in all workplaces. It places "a duty of care" on all to ensure that the workplace is safe for themselves and for others. A PAT Test will ensure compliance with regards to electrical appliances where this law is concerned. This law applies to employers. It is in place to ensure that the above law (HSAW) can be effectively complied with. This law states that employers must carry out a risk assessment to ensure that employees (and those not in his/her employ) are not subjected to danger. PAT Testing should be included as part of this risk assessment. This law applies to employers. It ensures that work equipment is constructed and/or installed in a manner that is suitable for safe use. Again, a PAT Test will ensure compliance. This is the most important law in regards to PAT Testing. Regulation 16 of this legislation deals with "electrical systems" and "duty holders". For the purpose of the law an electrical system is anything that generates, stores, transmits or uses electricity and a duty holder is anyone (employer, employee, self-employed person, etc) who has 'control' of an electrical system. This means anyone who designs, installs, works with or maintains anything electrical is a duty holder. The Electricity at Work Regulations require that electrical systems be maintained in a condition so as to not cause danger. This must be carried out no matter the cost, time or hassle involved. PAT Testing has become the recognised method of complying with this law. It should also be noted that the law dictates that this (PAT Testing) is carried out by a competent person. We can see that the combination of these laws apply to all electrical equipment used in, or associated with, places of work. The laws apply to both employers and employees. Employees should make sure that they are using electrical equipment safely and in the manner that they were intended for. They should also perform visual checks on equipment and report faults to their employers. Employers should ensure that the equipment in their workplace is safe for all to use. The most convenient and cost effective way to comply with this is to have the electrical equipment PAT Tested. PAT Testing will ensure that appliances are safe for the use that they were intended and a PAT Test Register along with a PAT Test Certificate will prove compliance.